Blackout shades, or solar shades as they are sometimes known as, can be a fantastic design tool and have proven their worth as a window covering that has the dynamics and style panache to stand the test of time. Any home, big or small, open or closed plan, can benefit from the simple lines and effective functional features of a simple blackout shade. 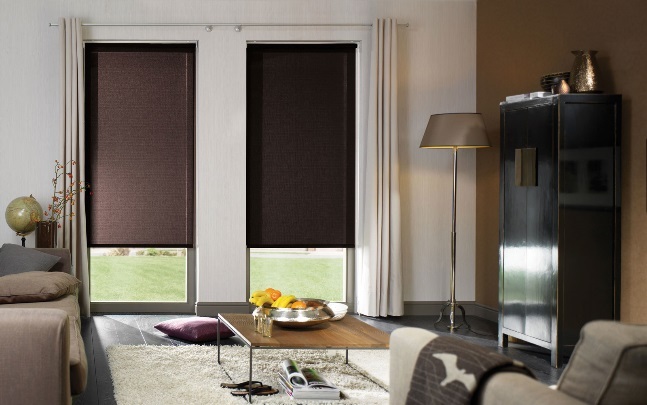 As well as looking great and earning you some style points, blackout shades are predominantly popular for their ability to completely banish any natural light or even some heat from the outdoors entering into your home uninvited. 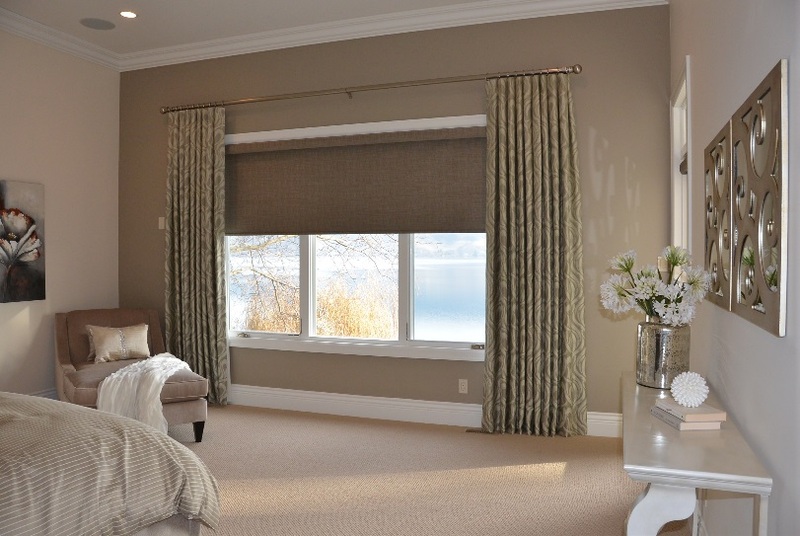 They can also ensure you complete privacy when you need it, not something that most other window coverings can do. Blackout shades give us even more freedom to change the atmosphere of our homes as often as we’d like. If you live in an area that is especially bright all year round, experience contrasting seasons or if your weather is a little bit unpredictable, you’ll be in even more need of having that complete control on the level of light than can and will enter your home from the outdoors. As well as the outdoor light control, room darkening shades can also provide heat protection by absorbing the warmth and providing you with better heat control inside your home. Although we have more flexibility than ever before with electrically controlled interior lighting, if you want to be able to truly dictate the lighting levels in the house, blackout shades are an absolute essential. You simply can’t recreate the appearance of natural sunlight with light bulbs, but solar shades will allow you to play up to your windows and frame the natural sunlight beaming into your home whenever you’d like it to. Room darkening shades aren’t just a tool for blocking out light, but for giving you the ability to widen and lengthen your windows without worrying about the effects of strong light and heat. blackout shades to the same system to give you so much more freedom and control. Mixing natural light when you want it with other lighting in the home at the touch of a button can give you so many opportunities in enhancing how light makes your home look and feel. Also, not all of the shades in your home need to be completely room darkening. If there are particular sore points in your home where light seeps through, it can be extremely light, or maybe you just need additional privacy in certain parts of your home, you can install a combination of light blocking shades and non-blackout shades to give you more flexibility. These can be matching in style, colour and print, it’s just the function that will differentiate the shades. This means that in areas of your home you want more natural light, perhaps kitchen or living areas, can still benefit from the translucency of traditional shades, but you can blackout individual rooms and areas where it matters. Blackout shades are an ideal addition to any guest bedroom. Not only are they universally simple to use and understand, but they will give your guests the ability to control the light and heat in their room without any complication or sacrifice. Even if room darkening shades aren’t quite to your taste, they’ll instantly make your guests feel more comfortable in the knowledge that they have extra control over how comfortable their room is for them specifically. No matter how open your home is, we all require at least some privacy from time to time. That might be restricted to just bedrooms, dressing rooms and bathrooms but it might also lend itself to spaces like utility rooms and kitchens which aren’t always the most presentable rooms especially after heavy usage. 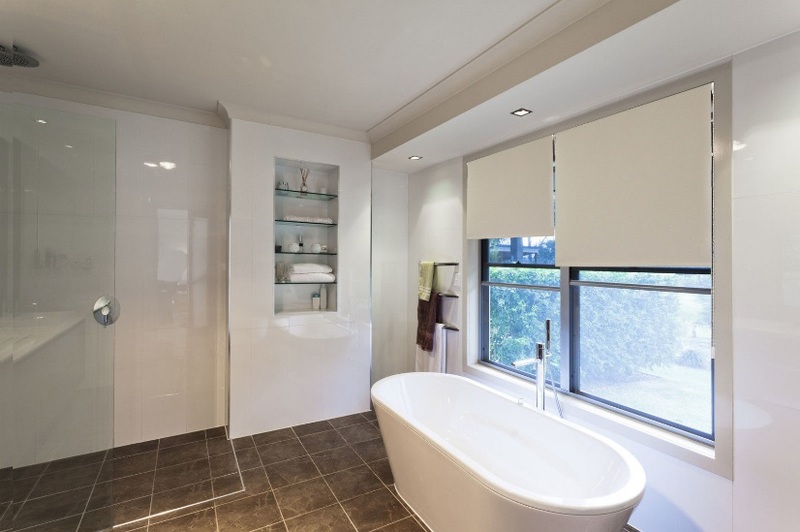 Forget frosted glass and heavy shades that will always block at least some light or vision, a blackout shade will allow you full access to natural light and warmth, and only block that out when you temporarily require full privacy for changing, sleeping or bathing. Shades can be opened or closed with very little effort, very quickly, and can even be motorised for better accessibility. If you’re yearning for a home that is open, light and bright, get yourself some solar window shades installed in the most private parts of your home. Although many consumers and even sometimes interior designers will use the terms ‘shades’ and ‘blinds’ interchangeably, we are focusing only on shades here as although they are both styles of window covering, they are entirely different features. 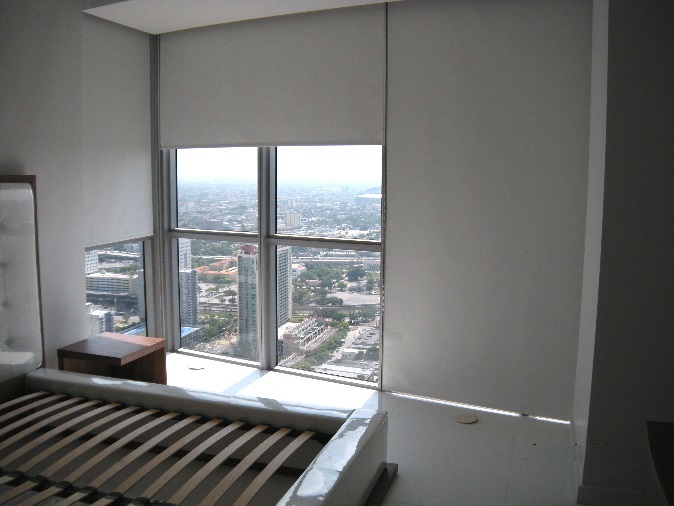 The benefits of window shades is that they are much softer and overall have a much neater appearance than blinds do. Often made from fabric or thin and soft materials that roll up or down neatly, usually just with one sheath of material that provides continuation and a solid block of colour or a bold print statement. Shades are certainly a more minimal option from a design shapes point of view, providing clean lines and a neatness to your windows that isn’t achievable with each type of blinds. Blinds, however, will typically be made from a harder material, like wood, plastic or aluminium. They have lots of horizontal or vertical pieces called louvers or slats that can be pulled open or closed, and can be rotated individually to give control of how light can filter into your home, something which can’t be achieved with shades because of the one single piece of material. Cellular blackout shades is a more modern option that are proven to save energy, even more so than ordinary blackout shades. Cellular blackout shades will provide you with privacy and light control you require, but will also reduce your heating and energy bills with the insulation they provide. 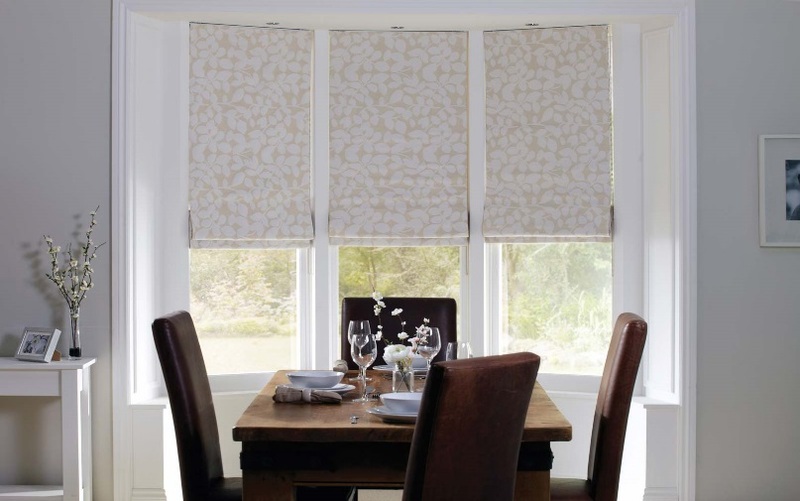 Room darkening cellular shades are fairly new to the mainstream market, which means that styles and colours could be limited. While blackout shades are easy to come across no matter where you’re shopping, it can be a bit more difficult to find the perfect shade for your home, with the exact texture, colour and size. 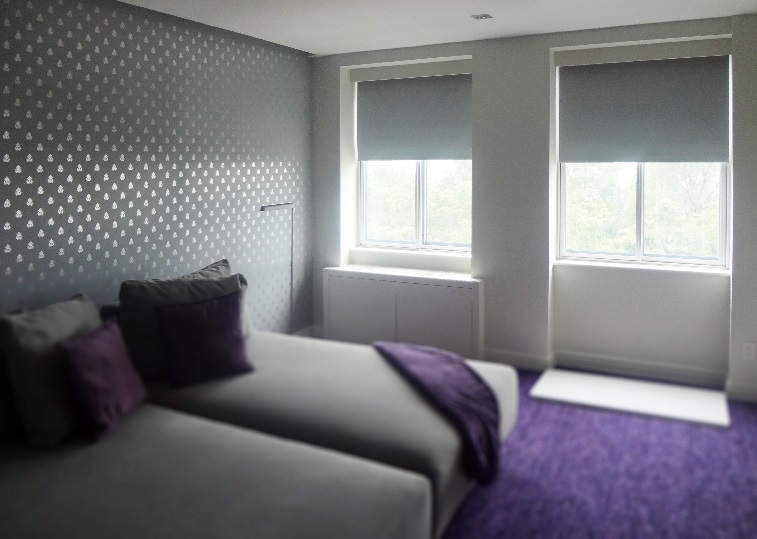 Thankfully, being such a flexible and inexpensive feature, blackout window shades can be made to measure, or you can easily upgrade a standard shade into a blackout shade. 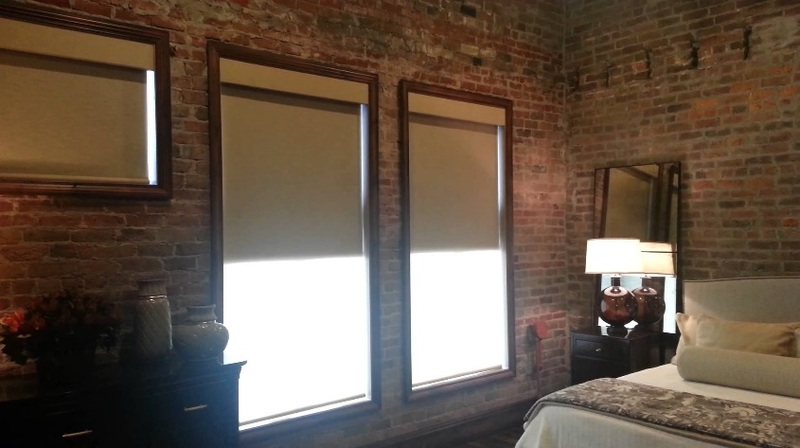 If you have found that perfect window shade but it is just not available in blackout form, you don’t need to make any sacrifices or choices between style and function. Not all of us are handy with a sewing machine and we’re not all DIY savvy. Don’t fear though, because once you’ve found the perfect shade a good, local seamstress or curtain maker should be able to apply a good lining to your shades to give it the blackout function. Even if you have a shade in your home already that you wish was blackout, it can easily be adapted. There is a cost attached however and anybody who has ever had bespoke curtains made will know that it takes time and an investment so do shop around first. But if it’s something you have your heart set on, be calm in the knowledge that you can do it. If you are part of the crowd that loves a DIY project or you want your home makeover to be purse friendly, you can upgrade a plain blackout shade by adding some fabulous fabric, or turning an existing shade into a blackout shade by attaching a thin sheet of vinyl to the back of the shade. If you need any inspiration, have a look at The DIY Mommy’s step-by-step instructions. The best choice for you? Blackout shades aren’t limited to one style of interior design, they’re dynamic and adaptable to many styles so that almost any home that need to benefit from better privacy and light control can install solar shades that will enhance and improve the interior design theme. Inexpensive compared to other choices of windows, blackout shades are in no way under par when it comes to quality window coverings and management of your home’s atmosphere as well as its style.